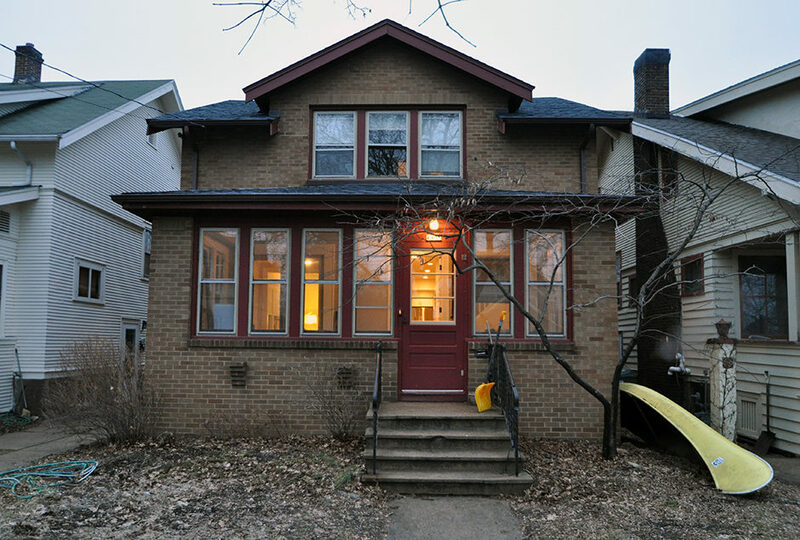 The original floorplan of this 1916 house on Madison’s Isthmus was divided into small rooms, long hallways, and trimmed in heavy dark stained wood. Passing through the original front door, one is now pleasantly surprised by the bright and cheerful interior based on the Scandinavian modern style. 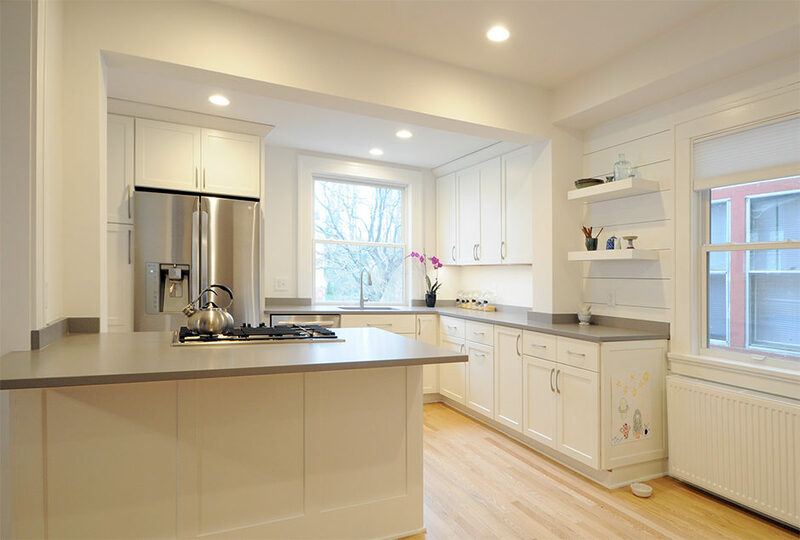 The project included designing a brand new kitchen, bathroom, foyer, and cleaned up living and dining room. All of the windows were replaced, and the giant old radiators were replaced with a slim modern model. 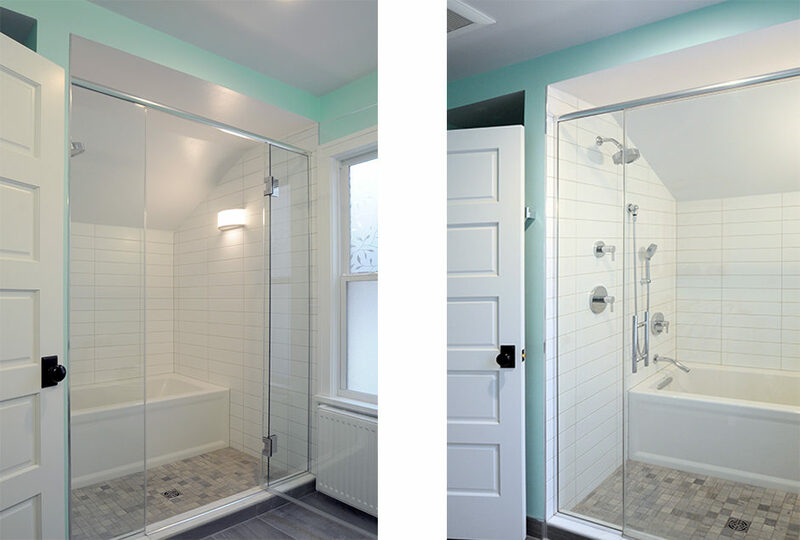 The upstairs bathroom demonstrates a “small spaces” design technique called a wet room. This bathroom expanded into an adjacent closet, so we placed a soaking tub under the sloping roof line adjacent to a traditional shower.